Me again. Wines that won’t break your pocketbook but that are tasty. (Or that you should really stay away from.) These are both under $10, though I don’t recall the actual price. And I’m talking California prices, so if it’s a California wine and you’re elsewhere in the country, so sorry. You’re probably paying more. My Take: Okay, well – the label is obnoxious. Really? You’re gonna tell me how it smells AND tastes? Maybe it’s the translation, but when I read this I got irritated. (As if you couldn’t tell, lol!) But it’s a French wine from the Rhone Valley. I usually like those wines, and this fit into my price range, so I tried it. My Rating: ~ Drinkable ~ Though I will say its not that different from a stringent (i.e., no oak) white wine. Fine when well-chilled – just don’t expect sweet from this wine. On the Label: “Born in France…Raised in America. Not all wines are created equal. 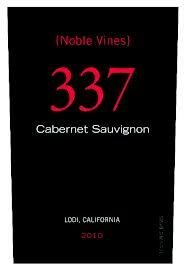 Noble Vines 337 is the most coveted Cabernet Sauvignon vine stock in Bordeaux, France. These rare vines are prized for their concentrated flavor and thrive in the red soils and cobblestones of our Lodi vineyard. My Take: Richer than I had suspected it would be. I’ll definitely try this wine again. It has a bunch of potential, even if it’s a bit pretentious. I wanted to try a Lodi wine, and I’m glad I chose this one. My Rating: ~ Drinkable ~ I keep searching for the Very Drinkable wines for you, my dears! But this will definitely do, in the meantime. 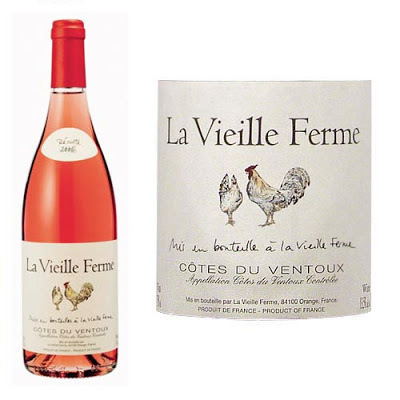 This entry was posted in Observations, Wine Friday and tagged Bordeaux, Cabernet Sauvignon, Christine Ashworth, La Vielle Ferme Rose, Noble Vines 337 Cabernet Sauvignon, Rhone Valley, Rose, Wine Friday. Bookmark the permalink. Yay, rosé – my absolute favourite, though you didn’t seem enthused by this one. It’s not bad, Emma – it’s just not my favorite. If I wasn’t looking at it, I thought I was drinking a white wine. So…? Try it, though. You just never know. Oh, I’ll get you to like a rose – it’s now my mission in life, lol! Cheers hon! I am with Samanthe on this. Not a rose drinker at all, at all. I’ll do an occasional white but give me a good, big and bold Cab and yummy. I don’t even need to eat dinner. In fact, it may be better without dinner. I don’t drink much anymore because I don’t wanna drink and drive and drinking at home alone seems pathetic. The Lodi is definitely on the list.